Cook your own bread / pizza / stir-fry / etc. At first, I dismissed much of it as not for me but it kept coming up again and again. And I realized that maybe supporting all the chemicals that go into conventional farming isn’t such a great idea. Maybe recycling isn’t a perfect solution for dealing with plastic waste. Maybe getting a shirt made overseas from plastic thread by under-paid workers really isn’t such a great deal even on clearance. So just over a year ago, I signed up for Buy Nothing New Month to evaluate how much I really need, and that month was nowhere near as hard as expected. The quick and dirty deals were so tempting, but it was a relief to not have to deal with the usual buyer’s remorse afterwards. 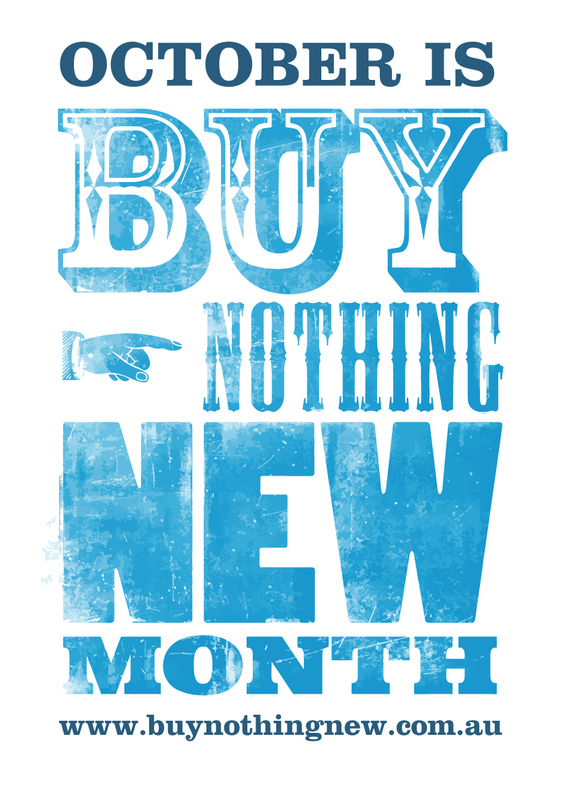 BNN Month went so well that I decided to declare this year Buy Nothing New 2015. Yes, there have been a few cases where I really needed to buy something new and a few cases where I just gave in without good reason. But overall, I feel better about the things I do buy and am especially happy with spending a little more on food instead of on random clearance and sale-priced crap. And any other green habits I’ve picked up along the way, that’s all bonus.